A ‘game-changing’ sector deal for the £66 billion UK tourism industry is set to be confirmed by the government. The aim is to attract more domestic and overseas visitors and help drive major economic growth. Negotiations will start with the sector on an ‘ambitious’ industrial strategy deal designed to benefit the whole country, according to digital, culture, media and sport secretary Jeremy Wright. He called on the industry to respond with a renewed commitment to promote its offer throughout the year, not just in the peak summer months, and increase high quality, well-paid jobs. The announcement follows an initial proposal submitted by industry leaders, led by British Tourist Authority chairman Steve Ridgway, former boss of Virgin Atlantic. It also comes as the government marks a year since the launch of its modern industrial strategy. This aims to boost productivity by backing businesses to create jobs and increase the earning power of people throughout the UK with investment in skills, industries and infrastructure. 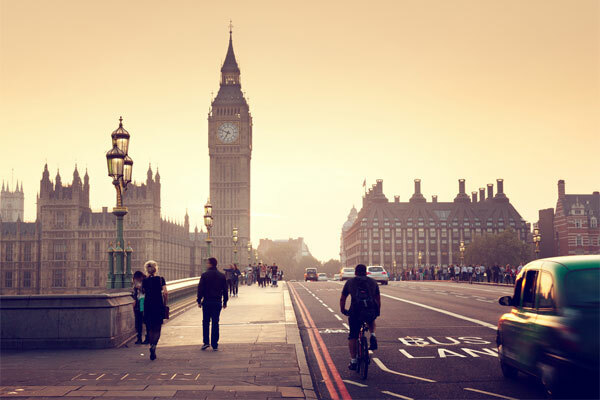 The tourism industry has also been challenged to use the sector deal negotiations as an opportunity to deliver more collaborative data sharing with VisitBritain around visitor figures, behaviours and audience analysis. This is to help take a more strategic approach to promotional activity and a more united approach to environmental protection. A potential tourism sector deal is an opportunity for driving change, through workforce development and consequent productivity gains, resulting in perception changes of hospitality and tourism as a career for life, according to the Department for Digital, Culture, Media and Sport. UK tourism is worth more than £66 billion a year to the economy, according to official figures. The sector employs 1.6 million people, covering beaches and activity parks, to hundreds of thousands of heritage sites. Annual statistics released in July revealed that a record-breaking 39.2 million visits were made by overseas tourists to the UK in 2017, with the latest domestic tourism figures showing 120.7 million overnight domestic visits to destinations in England, Scotland and Wales last year. Wright said: “The tourism industry is one of the UK’s most successful exports. Every time a leisure or business traveller chooses to visit, it brings investment in our economy and supports jobs across the country. “But we are in a competitive global market and we need to be ambitious to maintain the fantastic growth we have seen in recent years. “A sector deal is a way to deliver this, and the industry have put forward some strong ideas to government. We are ready to formally negotiate on a deal which can boost productivity in this crucial sector. Ridgway added: “Tourism is an economic powerhouse, a growing industry with huge potential to scale-up productivity, so it is very welcome news that an official negotiation for a sector deal has today been confirmed by the UK government. “Securing this deal will be a game-changer for the industry, spelling a step-change in how we underpin the success of tourism for a generation, fixing issues from skills and productivity to extending the season year-round and building stronger tourism destinations up and down the country. And it will be a game-changer for the economy with a sector deal growing the value of the industry and increasing employment in tourism. “One of the UK’s most valuable export industries, tourism needs no trade deals to attract overseas investment. Six sector deals between government and industry have been published over the past year – from construction and automotive, to nuclear and the creative industries, including £1.9 billion of investment in life sciences and £1 billion for artificial intelligence. Sector deals are designed to attract investment and growth, and ensure the country has the skilled, diverse workforce required for the future.